All this to say, when it comes to Harry Potter, we’re all fans. 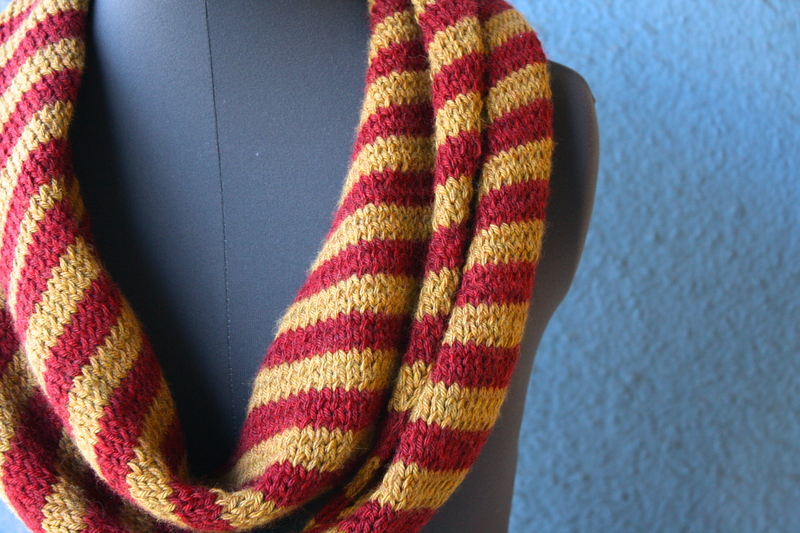 So what better way to attract people to the world of knitting than by making a Harry Potter themed scarf! Though most circle scarves are knit in a round, this one was not. 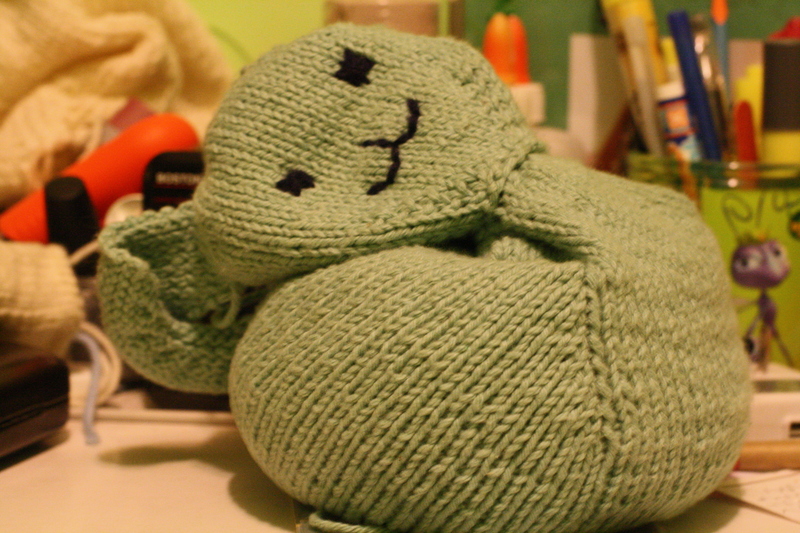 I knit this back and forth width-wise, using a provisional cast-on and sealing the ends with a kitchener stitch. The diagonal stripes comes from increasing one side while decreasing the other. 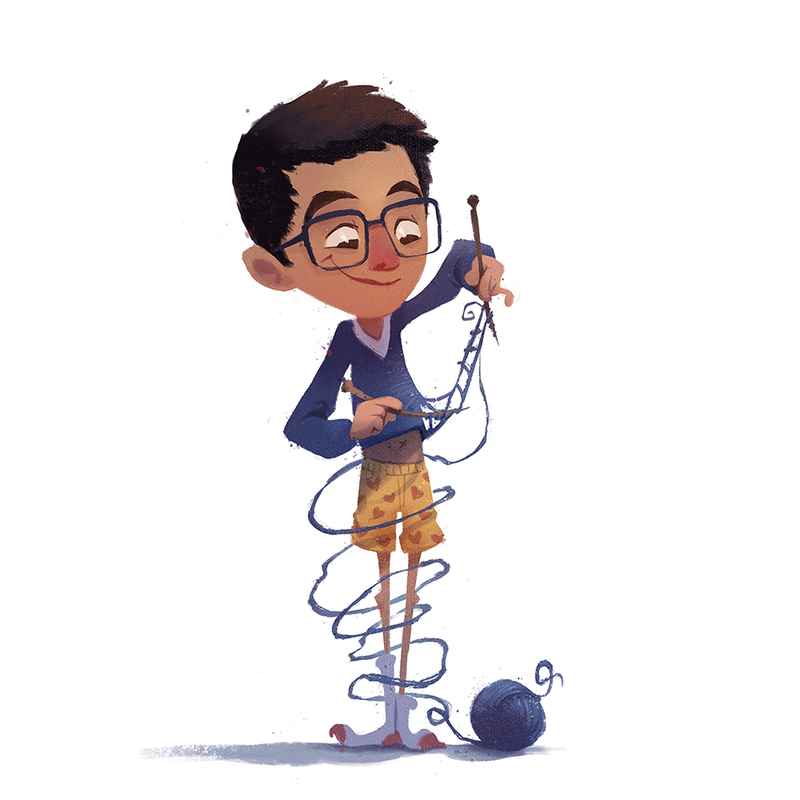 I always wondered how people were able to knit slanted patterns. As it turns out, it’s not that hard! I used Berroco Vintage yarn because of their unique wool/nylon blend, so it has the soft, warm touch of a sheep and the silky, stretchy feel of… stuff that’s made out of nylon. All in all, this was probably one of my better projects. Before all of you Mugglenetters start casting hexes (Protego!) on me, let me first say that I am in no way trying to rival the knitting prowess of Mrs. Weasley (heaven forbid I even dream of such a thing). But you have to admit, if she had made her kids something like this instead of those monochromatic sweaters of hers, the Weasley kids probably wouldn’t have gotten quite so much flack at school. 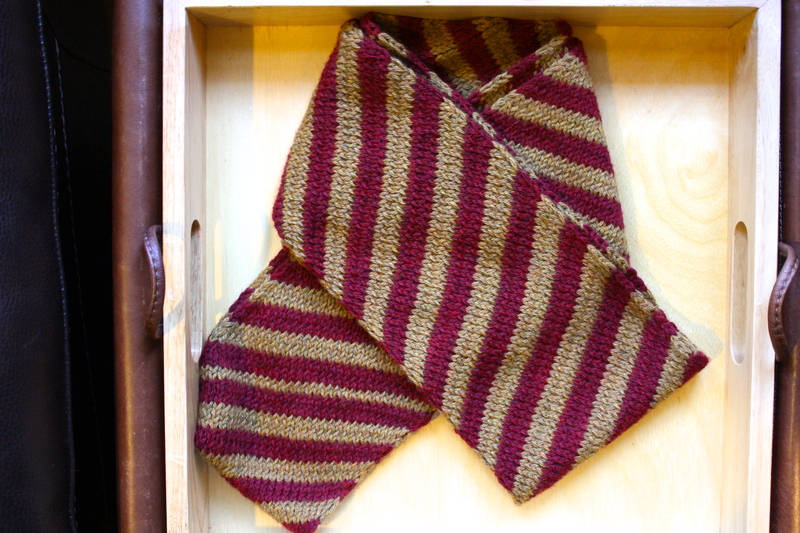 I also like to think that Emma Watson would pick this scarf for Hermione when in wardrobe (a knitter can dream, can’t he?). Now, as many of you may know, I was recently offered a part-time job, which I eagerly accepted. But, as many of you do not know, I am currently part-time jobless (don’t worry, I’m still full-time job-ful!) because, as it turns out, I am terrible at said job. How did I figure this out? Because apparently said job offer came with a simulation test to make sure you were ready for the real deal (basically the Kobayashi Maru but a million times harder), and I failed said simulation test and therefore did not get the job. I failed. Miserably. And when I say I failed, I don’t mean a foible, or a faux pas, or a gaffe, or a blunder, mishap, booboo (starting to run out of synonyms), or error. I mean really fail. The M. Night Shyamalan production of Avatar kind of fail. The, “My MCAT’s tomorrow? !” fail (On behalf of the American Association of Medical Colleges, I would like you all to please take this time to double check your MCAT registration date). I’m talking about the kid in junior high (I believe his name was Elmer…) whose mom made him run for student body giving a speech in front of the whole school and then freezing so badly that even the bullies felt sorry for him. That kind of failing. During my simulation, I even estimated the value of the contents of my backpack so I’d know how much I would’ve lost (other than my dignity) if I had ran out of the room then and there. Needless to say, I came home with a pulverized ego and my pride in critical condition. So, what does a mature man of 22 do when met with failure? Well, first I drowned my sorrows in an entire tub of hummus and watched, like, 10 straight episodes of Nikita (don’t judge. Maggie Q doesn’t receive nearly as much credit as she deserves), but that isn’t really a part of my story or add in any way to the lesson I’m trying to teach. The real story started the next day. I woke up at 10am. I watched Law and Order and predicted who the criminal was (which is something I’m good at), then I played a Chopin etude (which is something I… used to be good at), then I went cafeing (which I, basically, was born to do), where I knit (which is something I’m good at) and read a book that required the appreciation of intricate language and metaphor (which is something I’m- well, you get the point by now). And then it was 11:30am. I was bored, and had run out of stuff that I’m good at to do. So I went back home and sang Pink’s “Just Give Me A Reason” (Pink’s part, in her register, of course), had a good laugh looking at my old medicine-ball-rice-bunny-gone-horribly-wrong (always a good source of humility/nightmares), and then lost a game of QuizCross (it’s free. download it. add me: djuelam). Okay, I was never one for leaving subtle messages about the deeper meanings of life (I’ll leave that to the writers of The Wire), so I’ll just come out and say it. Life’s no fun without things going horribly, horribly wrong. Wait, let me rephrase that. Life is boring if everything goes right all the time. Sure, doing what you’re good at is rewarding and develops your natural talents, but it’s your mistakes that give you perspective and a reason to push on. Plus, they’re also just plain funny (in due time, of course). But more importantly, they’re unavoidabel. Notice anything weird about this picture? As it turns out, the scarf is on the mannequin backwards. Yes, that’s right, this is actually Mandy’s (that’s her name. Mandy the mannequin) back, with her bust facing the opposite direction (no wonder I got so many looks when I was taking these pictures outside of my house…). See?! I mess up all the time, even when it comes to things I spend so much time on (I literally spent half an hour arranging this scarf on Mandy. Her armlessness and lack of head made it really hard for the scarf to stay on.). And, like it or not (I’ll like it, you probably will not), you do too. All we can do is be brave enough (wait for the mind blowing connection that I’m about to make) to face them as they are, learn from them, and recognize that our mistakes shape us just as much as our successes, if not more so. “…Said Slytherin, ‘I’ll take just those whose ancestry is purest’. – The Sorting Hat, somewhere in the 5th book I think. Harry knew he belonged in Gryffindor when he produced the sword of Godric Gryffindor himself in a time of need. 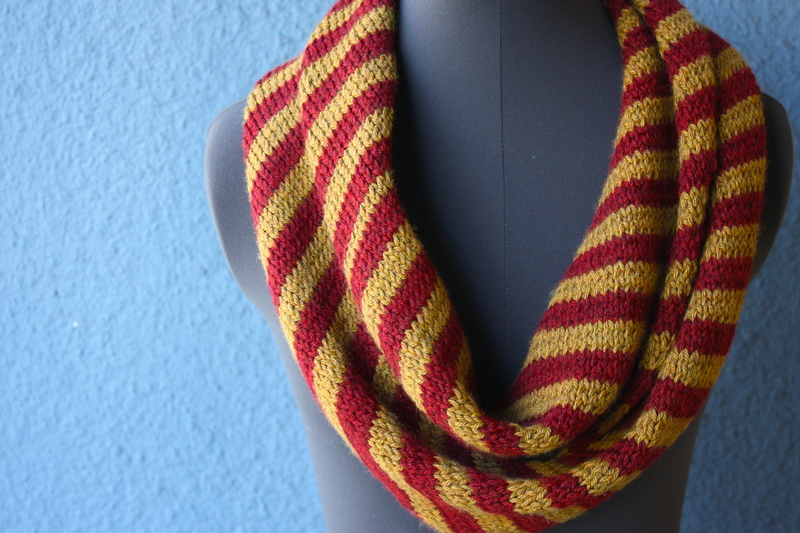 And for me, well, who’s to say that Godric didn’t have a trendy striped circle scarf as well? ***The fear of public speaking is called glossophobia.